The Kindling Trust is launching the UK’s first FarmStart initiative: an incubator farm for you to try out farming. Access to land, money for equipment and advice - these can seem like huge barriers to starting out on a farming career. FarmStart Manchester could be the answer! 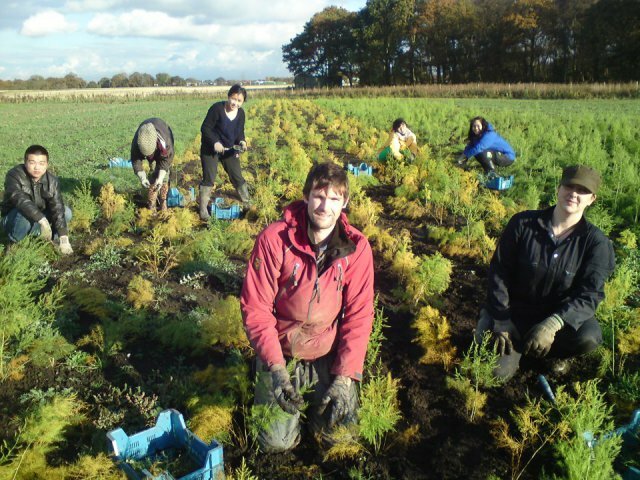 The Kindling Trust has established, what they believe to be the UK’s first FarmStart initiative: an incubator farm for those new to farming, allowing a new generation of growers to trial their farming business ideas in a low-risk way. For a small annual fee new growers have access to manageable lots of organic land, on-going training and mentoring, access to local markets for your produce as well peer support. This is a chance to see if farming is for you, and put your ideas to the test. You may want to do it on your own, with friends or family, and depending on what you grow, you could expect to spend anything from an hour to a couple of days each week tending your crops. As your business proves itself viable, you may expand on to further ¼ acre sections each year, until year 6, when you will be ready to move onto your own farm! We want to see more people growing food around Greater Manchester, and we need more suppliers for our organic vegetable marketing co-operative, Manchester Veg People. Abbey Leys want home-grown vegetables for their farm shop, and there is plenty of scope for attending local farmers markets. By trying to remove the barriers that stop people getting started in vegetable production, we hope to make it possible for a new generation of growers to emerge. Abbey Leys Farm is just 15 miles to the south-west of Greater Manchester, with great motorway access to the city and Cheshire. The land is flat and fertile and already certified organic. This scheme is the first of its kind in the UK, though it has proven a great success in North America. We hope to emulate that success here. The major cultivation work will be done by contractors using large machinery. Other equipment, such as irrigation hose and ground cover sheeting and netting may be bought in bulk with other new farmers. FarmStart will provide a seeder for shared use. Each additional ¼ acre will cost an extra £50. We require a deposit of £100 per ¼ acre. You probably have a lot of questions by now! You are invited to a Q&A session at our office on Tuesday 5th March, 6-8pm. This will be a chance to find out whether FarmStart is right for you, and how to go about applying. Please email us to let us know if you are coming so we can send you the application to look through first. If you can’t make the Q&A but would like to ask any questions, please email or call us during office hours on 0161 226 2242. If you would like to apply please e-mail helen@kindling.org.uk for an application form. Deadline for submission of the application form is 5pm on Monday, 11th March. Successful candidates will be notified on Tuesday 12th March and invited to an on-site induction on Sunday 17th March, leaving the Work for Change office (M15 5RF) at 4.30pm. New farmers will have access to the land from Monday 18th March. For more information about FarmStart Manchester click here and to see how it operates in Canada click here.